Lawyers have never been known as a technical bunch, but more and more are adopting technology to increase productivity and profitability. This primer explains how and where to locate music that is safe to use in a podcast. While the RSS and Atom formats are both used throughout the Internet for content syndication, this article will focus on the RSS 2.0 specification. With support for multimedia enclosures and other multi-purpose features, RSS 2.0 is quickly becoming one of the most popular flavors for content syndication, providing site owners with a powerful vehicle for delivering a lot more than just news. Have you ever subscribed to a podcast? Yup, you guessed it... podcasts are RSS 2.0 feeds. Although podcasting is new, it is well on its way to becoming a mainstream medium of communication. 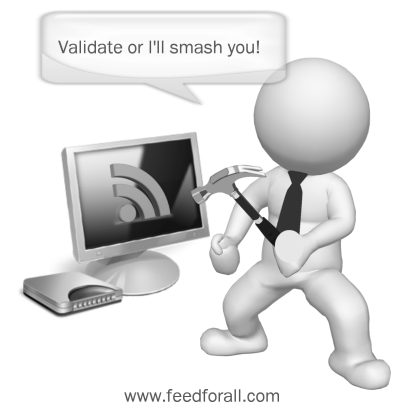 Podcasting, simply put, are audio files that are delivered via RSS. Many people believe that podcasting is used solely for the distribution of music files, but nothing could be further from the truth. This emerging method of audio file distribution has opened an array of marketing and communication opportunities to businesses. Academia has embraced RSS as a means to educate, but scrutinizing how educational institutions are using RSS feeds show varied use. 1. A microphone or input device. 2. A computer with a sound card. 3. Audio Recording software like RecordForAll Plug the input device into the input jack of the Start the audio recording software (in this case RecordForAll). Question and answers about Podcasting.